Liquidation in the simplest terms refers to the conversion of hard assets to cash. Liquidation of an individual’s estate does not just occur upon a death. It can also occur when a parent chooses to liquidate assets in order to fund something like the purchase of a second home or a child’s college tuition. Liquidation can also occur as a result of bankruptcy, where assets must be liquidated to pay off debts owed. For purposes of this blog article, we will focus on liquidation as a result of a death. Liquidation of an estate most often occurs when someone in the family dies, and refers to the disposition of everything owned by that person. It can be divided into two classes: real property (real estate) and personal property (which includes tangible personal property such as a car and intangible personal property such as stock certificates, bonds or CDs). An estate liquidation is typically held with the purpose of legally clearing out tangible personal property. Depending on the title of real property and whether there are any designated beneficiaries for a decedent’s intangible financial assets, there may also be some need to liquidate these assets. Often a family will retain legal counsel to assist them with understanding exactly how to distribute the assets of a decedent’s estate if there is no Will or other directive in place, such as a beneficiary designation, that gives clear instruction. This could include: real estate, stocks, bonds, investments, other financial assets, jewelry, heirlooms, furniture, etc. Items that cannot be transferred to a specific beneficiary may need to be liquidated through auctions, estate sales, or donation. The difference between an estate liquidation and an estate sale is that the liquidation can include stocks, bonds, real property, collections such as coins or fine art, and fine jewelry. Usually the estate liquidation involves the use of professionals such as an estate attorney, CPA, appraiser or Realtor. Another consideration for liquidation is the payment of debts as well as estate tax, income tax or inheritance tax. An experienced estate and probate attorney can provide necessary guidance to families on how best to address these issues. Hopefully, the deceased individual prepared an estate plan, to include a Will or Trust, or a designation of a survivor/payable on death beneficiary, to leave clear instructions on the distribution of their estate. If not, the estate would require possible costly probate of most (if not all) of their assets. • Locate any will or trust to determine who has been appointed to serve as executor or trustee. • Obtain several certified copies of the death certificate. • Gather the mail and notify any creditors of the decedent (e.g., mortgage company, utilities, credit cards) of the death, and to freeze further activities on any lines of credit other than what will be paid once an executor has been officially recognized by the proper court in the county/city where the decedent died. Never pay any bills with your own money. Most creditors will make a note of the death in their file and give some leeway on when the next payment may be due. In cases where the estate is effectively without assets to pay creditors, none of them should be paid without first speaking to an attorney about the enforceability of such obligations, as it is not uncommon for such creditors to simple write-off these debts as a loss on their books due to the fact that the estate it too insolvent to pay any debts. • Secure any real or personal property, meaning lock down the decedent’s residence and do not allow family members to remove any items prior to the executor (referred to as an administrator if there is no Will) to qualify and properly itemize all the contents of the residence to the court as required by law. Distribution of assets is a formal process and requires the signing of a receipt by any beneficiary with the receipt providing protections to the estate and the executor should the item(s) need to be reclaimed later for legally-enforceable obligations such as federal and state taxes that the decedent might owe. • Notify agencies such as the U.S. Dept. of Social Security, U.S. Dept. of Veteran’s Affairs, Office of Personnel Management, or other federal agencies who may have touched the decedent’s life, any insurance companies, and credit reporting agencies such as Experian, Transunion and Equifax, so that no one can use their social security number to obtain new accounts or credit. • Secure guardians for minor children or dependent adults (if applicable). • Consult with an experienced estate, trust and probate attorney in the state where the deceased lived at the time of death. • Check to see if a revocable living trust is in place and whether any assets were titled into it or will be added to it by the decedent’s Last Will and Testament. After qualifying as executor, the executor must follow the terms of the Will, and any trustee must abide by the terms of the trust for distribution of property. 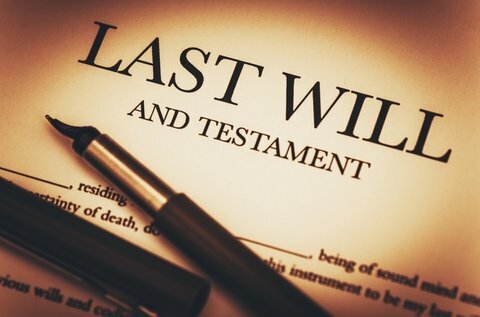 • Typically, the Executor of the Will will be responsible for fulfilling the legal duties under state law, and the administrative tasks such as inventorying property and assets, notification of creditors and payment of debts and taxes. However, if there is a Trustee, they should work together to ensure proper management and distribution of all assets of the decedent occurs. • If there is no trust or Will, for the deceased’s assets, check to see if the decedent held things jointly with another person who would inherit by right of survivorship, or if s/he named a beneficiary to receive the assets at his/her death, also referred to as a “transfer on death” or “payable on death” beneficiary designation. If not, then all assets of the decedent (with certain exceptions in states like Virginia which follows the “drop like a rock” doctrine for real estate) will be subject to the reporting requirements of probate and be supervised in terms of distribution by the Court (in Virginia, the Circuit Court and its Commissioner of Accounts). This can result in costly additional fees and taxes as well as delays in the ability to deliver inheritance to loved ones who may need financial support. Any surviving spouse should confer with an experienced probate attorney about his or her legal rights to statutory protections involving a family allowance, augmented estate rights, and more. When faced with the challenge of liquidation arising from the death of a family member or friend, there are many legalities that must be followed. An experienced estate, trust, and probate attorney can guide you through the process, answer any questions you might have, and put your mind at ease. You have enough on your mind with the death of a loved one; let your estate attorney help ensure the smooth transition of assets and the settlement of the estate. 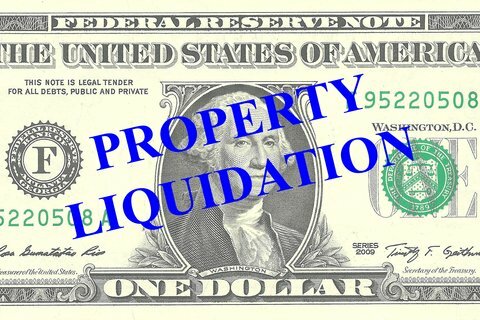 For estate liquidation questions in the Commonwealth of Virginia, contact Law Office of Patricia E. Tichenor, P.L.L.C. located in Leesburg, Virginia. Since 2001, we’ve been helping families set up trusts, revocable living trusts, wills, living wills, and guardianship documents, as well as assisting them with probate/estate liquidation issues. You’ll like our warm, consultative style of interaction and no-nonsense approach to getting things done. Contact attorneys Patricia Tichenor or Camellia Safi today. Giving money or assets to your loved ones during your lifetime rather than having them wait until after your death to collect, is defined as lifetime giving. It is an estate-planning strategy used to reduce estate taxes by spreading gifts throughout your lifetime using certain exemptions created by the federal gift tax laws in the United States. Gifting involves one person transferring cash, real estate, or assets to another while receiving nothing in return, rather like giving a birthday present to someone. With gifting, you may have the opportunity to help a loved one with needed cash, or you might make unlimited direct payments for their benefit to cover medical or education bills. Plus, you get to see their appreciation and the benefits of such a gift while you are still alive. To qualify, your gift must be a complete and irrevocable transfer. For Tax Year 2017, the IRS allows a person to give up to $14,000 per year as a gift, without incurring a gift tax or having to report the gift being made on the giver’s tax return. For parents or spouses, the amount each parent can give becomes a “splitting gift” which allows a total gift to say a child of up to $28,000. The recipient also has no obligation to report the gift, and s/he does not owe taxes for the gift (unless it comes from a foreign source). Amounts exceeding $14,000 given by a single person in a given year, however, require the giver (person making the gift; not the recipient of the gift) to file an IRS Gift Tax Form 709 with the federal government and pay any taxes owed (if applicable) for each dollar that exceeds the $14,000 limit. Spouses splitting the gift must also file Form 709. However, there is no separate State Gift Tax for a person making a gift who resides in Virginia. Gift tax is paid after your death. Form 709 is merely a reporting mechanism for you to report in each calendar year that you are alive all gifts which then exceeded the annual excluded amount. This is because, under federal law, you have a Lifetime Exemption which is currently $5,430,000 (also known as the allowable amount). This Lifetime Exemption applies to the combined: (1) value of all gifts made during your lifetime in any calendar year to any person which you reported on Form 709 as exceeding the then annual limit (now $14,000 but expected to increase in coming years); and (2) value of your entire estate passing to your beneficiaries at the time of your death, and any gifts provided from the estate over the yearly deduction are subtracted from that total. For example, if you gift your daughter with $150,000 in a single year, the $14,000 is exempted, and you would need to file a gift tax return and report stating that you used $136,000 of your lifetime exemption of $5,430,000. It then reduces your lifetime exemption amount to $5,294,000. However, you could gift $14,000 per year without affecting your lifetime exemption. In addition, if you made additional payments directly to a medical or educational account, these amounts would also not count against your Lifetime Exemption. Upon your death, what remains of your Lifetime Exemption is subtracted from the total amount of your estate, thus relieving the estate tax burden upon your Estate and, in turn, those who inherit from your Estate. Using the annual gift exclusion, along with paying directly towards medical or educational accounts or providers of such services, may be a very useful way to preserve your lifetime exemption, and minimize taxes down the road. Gift Tax and Inheritance or Estate Tax are often confused with one another. An estate tax takes into account everything you own plus your interests upon your death, and applies the estate tax on your right to transfer such property at your death. 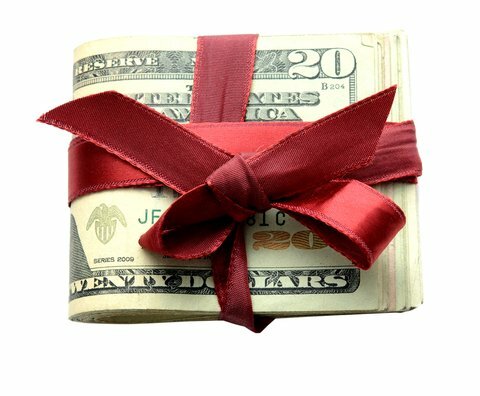 A Gift is money or property given during your lifetime and may or may not be subject to tax, depending upon your state. Virginia does not require a beneficiary living in Virginia to pay inheritance taxes, while nearby Maryland does. Virginia also does not have a Gift Tax. Lifetime Gifting is an effective way to help your loved ones during your lifetime, and preserve your estate from possible future estate taxes, with the caveat to ensure that you retain enough money to support yourself throughout your lifetime. Working with an estate attorney, like Patricia Tichenor or Camellia Safi at the Law Office of Patricia E. Tichenor, P.L.L.C. can help you avoid making costly mistakes when setting up and implementing your estate plan. If you need an estate planning attorney in Northern Virginia, contact us today. 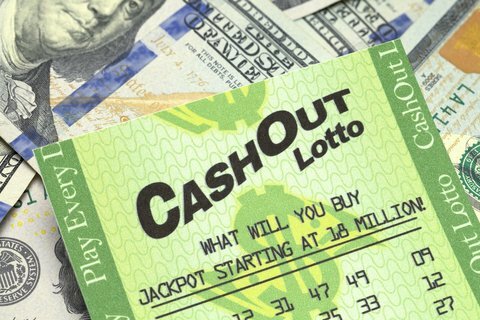 So You Just Won the Lottery…Now What? You may have heard people say, “If you win the lottery, one of the first things you should do is contact a lawyer.” Well it’s true. But not just for the lottery. Any time you come into a windfall, whether through winnings like the lottery or an inheritance, it is a good idea to double check with an attorney regarding your options, legal rights, and responsibilities. Any income needs to be properly saved, spent, and even preserved to pay taxes. First, resist the temptation to rush out and buy a house, car, vacation, or even waste the money with out-of-control spending. Of course, you’ll want to have a little bit of fun with the money, so a small splurge is okay. However, you’d be better served doing a financial review first with a certified financial planner and considering a trust plan with an experienced estate planning attorney. Decide if it’s prudent to pay off some debts now or not; set-up investment accounts or not; write a revocable or irrevocable trust; invest in real estate, etc. in order to preserve, grow, and make the most of your winnings for yourself and your heirs. Having a plan from the get-go may allow you to have your winnings last throughout your lifetime or the lifetimes of your loved ones as well. You’ll need to consider any possible taxes that come in the form of final income, gift, death or inheritance taxes as well as any applicable tax credits or exemptions, and even FDIC insurance for accounts holding your winnings. At present, Virginia does not impose either a death or inheritance tax. However, the latter is based on where your beneficiaries reside, so, if your beneficiaries live in another state which has an inheritance tax, they could be liable for inheritance taxes for what you leave to them depending on the plan you implement. Virginia, just like all states, has laws governing estate and trust planning, probate, and inheritance. This is why it is so important to consult with a local attorney where you live and draw up a will or trust in order to properly designate the distribution of your assets following your death as well as legally avoid certain taxes and other costs which might reduce what you are able to leave to your beneficiaries. A good estate planning lawyer can help you feel confident that your plan addresses all these issues and implement it for you. Finally, when thinking about your overall estate plan, consider whether you might want to leave a legacy that benefits more than your family members, such as an endowment, foundation, or charitable donation made in your name and memory. An estate planning attorney can help you customize a plan that fits your specific needs and address any unique issues for your heirs, such as special-needs or spendthrift trust planning for children with drug addiction, money, mental health or other issues who might not readily be in a position to handle receiving a direct inheritance from you, or a trust plan based on the relative age of a child or grandchild, focusing on funding education first before direct distributions of cash to that child or grandchild are made. No matter what type of inheritance or winnings you acquire, it is always best to seek the advice of an estate attorney before doing anything. You certainly don’t want to make a big, expensive mistake simply because you didn’t know your options. For advice and counsel on what to do when you have acquired a large amount of money, contact attorneys Patricia Tichenor or Camellia Safi at the Law Office of Patricia E. Tichenor, P.L.L.C. located in Leesburg, Virginia. Contact us today to set your appointment. Your child is always your child, except in the eyes of the law where an 18 year old is considered to be legal adults. However, as many parents know, at this age, or even beyond, many children are still not ready to be on their own and may need your input or assistance in major life decisions or managing finances. Even though they may be off to college, or entering military service, and you still may be paying their way, you may not have any say in their affairs should something happen and they need your help. At age 18, children are also deemed emancipated for HIPAA purposes. This means that their privacy is protected under the law—even from their parents—unless they have a medical directive or medical power of attorney in place. If an unfortunate circumstance should occur, as for example, your child was injured in campus violence incident or had a serious car accident, you, as parents, would have no access to health-related records, or would not be able to make decisions on their behalf if needed, unlike when they were minor children. With the increase of gun violence on campuses and distracted driving, pre-determining a plan might just help put your mind to rest, and offer protection for all parties. That is why we at the Law Office of Patricia E. Tichenor P.L.L.C. highly recommend creating two essential estate planning documents: a durable general power of attorney (for financial matters) and a durable medical power of attorney (for health-related matters). Encourage your child to put one in place after they turn 18, so they can ensure that you will be able to make decisions as to your child’s finances and health care in the event they are unable to do so themselves. Doing so will avoid the greater expense, stress and delay, if they are not in place, of seeking those rights for your child through a guardianship or conservatorship proceeding in the courts. Even though you most often hear about these two documents for older people, they should be considered for younger folks as well. A financial power of attorney can be customized to your child’s needs, general (covering all financial matters) or specific (relating to just one aspect of the adult child’s finances). Your child can appoint these responsibilities as well to different family members or trusted advisors as alternates or successors to you. A power of attorney can be useful in other ways too, such as if your child is traveling abroad and requires money wired from the adult child’s bank account, or needs to have legal documents like a lease signed in the child’s absence. The small fee you pay to set up proper powers of attorney will be well worth it in the end. At the Law Office of Patricia E. Tichenor, P.L.L.C., we are specialists in estate planning and can help you protect your family members. Please call to set an appointment at our convenient Northern Virginia office with either Patricia Tichenor or Camellia Safi, attorneys at law.